SCS is a specialist provider for the Service and Maintenance of smoke ventilation systems. It is believed to be the only generic provider of this service and the portfolio of clients includes Morrisons supermarkets, Ikea, and Mitie. 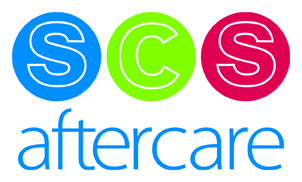 The business was originally part of the SCS Group, a smoke ventilation installation business, as a minor division. The founder, Jacquie Williams, determined it had great potential for growth if it had proper management focus so it became a separate company in 2008. The major challenge was initially Jacquie’s lack of experience in owning and running her own business and she suffered from the classic case of unconscious competence – she didn’t know what she didn’t know! For example, she didn’t realise that a business can be at its most vulnerable when it is growing because of cash-flow phasing. That led to some unforeseen issues that were resolved with finding a team of trusted advisors. She took over the business as the recession took hold and found that longstanding existing customers were obtaining alternative quotes to check if SCS Aftercare was competitive so renewing contracts was more onerous. Also customers were holding onto their money for longer so managing debtors was a challenge. A motivated team incentivised by a substantial bonus scheme which rewards gross profit improvement. Also, finding a trustworthy and proactive Accountant, and a Non Executive Director who help with critical business decisions and formulating business strategy. Finally, white space time for Jacquie. As an SME owner, it can be difficult to spend time away from the office without being worried about how the business is performing. A combination of motivated staff, defined KPIs and technology means that she can undertake one substantial trekking expedition a year. She finds this time away gives her renewed energy and vigour for the business and invariably a wealth of ideas materialise when spending time in the mountains. Strategic partnerships so more services can be offered to the customer whilst remaining a specialist provider.